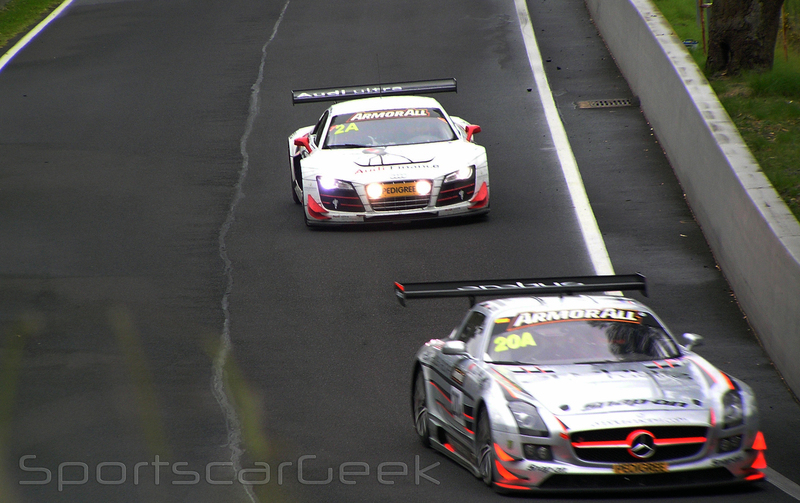 Bathurst 12 Hour: Event Wallpapers. 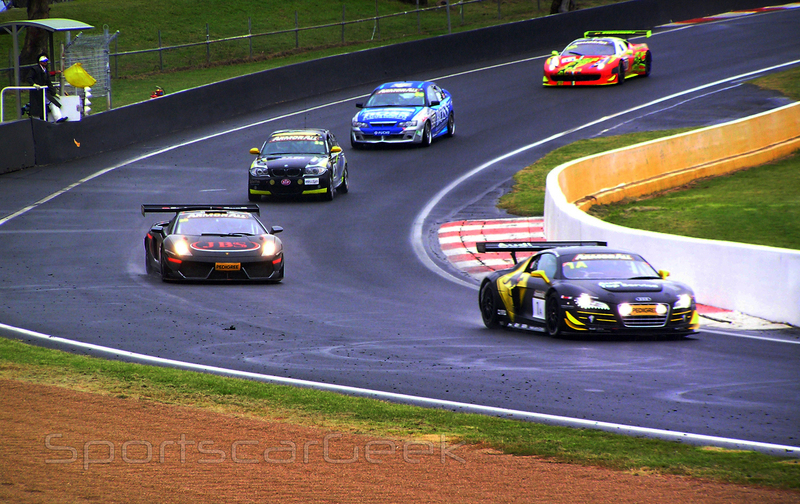 Here’s a selection of wallpaper shots, compiled following this year’s rain-soaked Bathurst 12 Hour event. Enjoy. 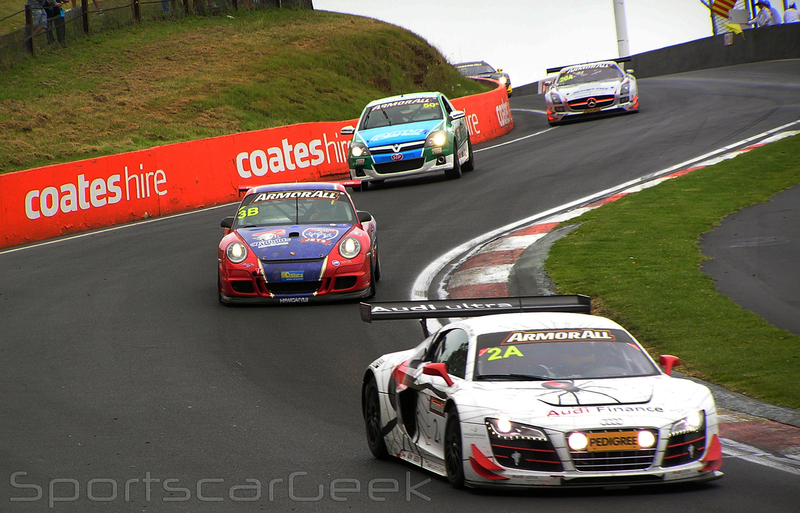 Bathurst 12 Hour: 2012 Event preview. With final entries confirmed and, few days remaining until green, Australia’s fledgling Bathurst 12 Hour event is preparing for the 2012 edition of what is rapidly becoming an early season fixture in global endurance racing. Sporting an increase in the quality and, quantity of competitors, the event’s organisers have once again lured entries of significant substance from both Australia, and further abroad; with teams from the Netherlands, Germany, New Zealand, and the United Kingdom having committed entries. Although multiple factors (e.g. conflicting event schedules, business interests) have inhibited the event’s uptake of local competitors, in both GT and production touring classes, the 2012 event sees arguably the deepest, most diverse and, professional field in recent years. With increased factory involvement in the fight for outright honours, and the emergence of multiple, high-calibre privateer entries, no less than four marques (Audi, Mercedes, Ferrari, Lamborghini) are represented in the battle for overall victory. AudiSport Team Phoenix will sport Australiana-themed liveries for the 2012 event; Left: Lowndes, Luff, Eddy; Right: Mies, Jöns, O'Young. Returning to defend their 2011 title, reigning champions Audi will this time be represented via esteemed factory affiliate outfit, Phoenix Racing. Renowned for their consistent successes in Germany’s domestic touring and GT series, the Ernst Moser-led operation will make their circuit debut at the 2012 Bathurst 12 Hour. Although competing at Bathurst for the first time, Phoenix racing have enlisted the services of Audi’s successful core driving lineup from the 2011 12 hour; with Mies, O’Young, Lowndes, Luff and Eddy having been retained for the 2012 event. Young AudiSport GT talent, Christer Jöns (widely known for exploits within ADAC GT) will partner Mies/O’Young in the #1 Audi; the 24-year old German assumes the position vacated by Marc Basseng’s omission; a change presumably enacted due to the event’s driver seeding regulations (stipulating a maximum of two ‘seeded’ or, professional drivers). 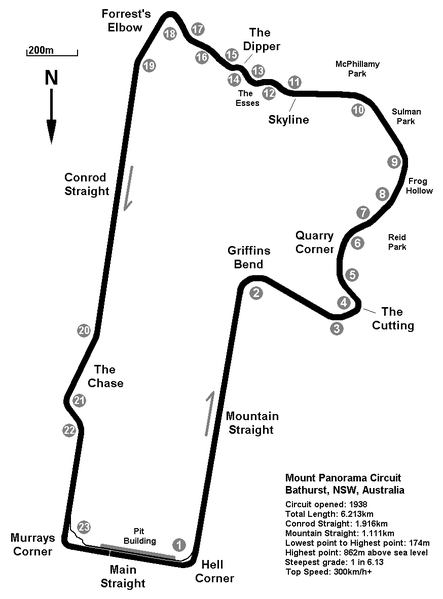 Bearing the most collectively experienced driving lineup (in regards to both circuit and vehicle knowledge), thoroughly proven machinery and, a record of consistent successes elsewhere, there remains little evidence to suggest Phoenix Racing won’t enter the 2012 Bathurst 12 Hour as firm contenders for outright victory. 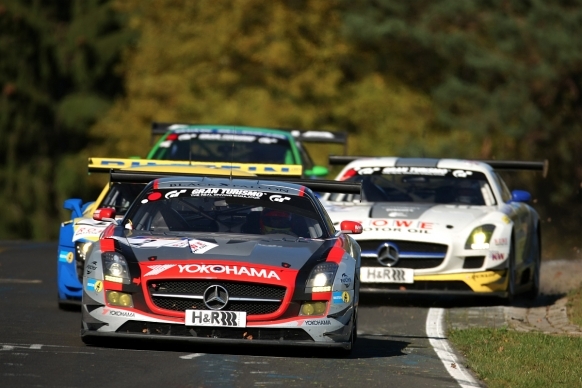 One of multiple Black Falcon Mercedes SLS AMG entries during round nine of the 2011 VLN Endurance Championship. - Image courtesy Black Falcon. Following a recent overall victory at the Dubai 24 Hour, German endurance outfit and Mercedes factory-affiliate, Black Falcon will also enter the 2012 event for the first time. Headed by an entry consisting of drivers Jeroen Bleekemolen, Tim Slade, Peter Hackett, and Bret Curtis, the team’s primary lineup bears collective experiences in endurance (both GT and Prototype), touring, and open-wheel competition, contributing arguably the event’s most diversely skilled driving outfit. 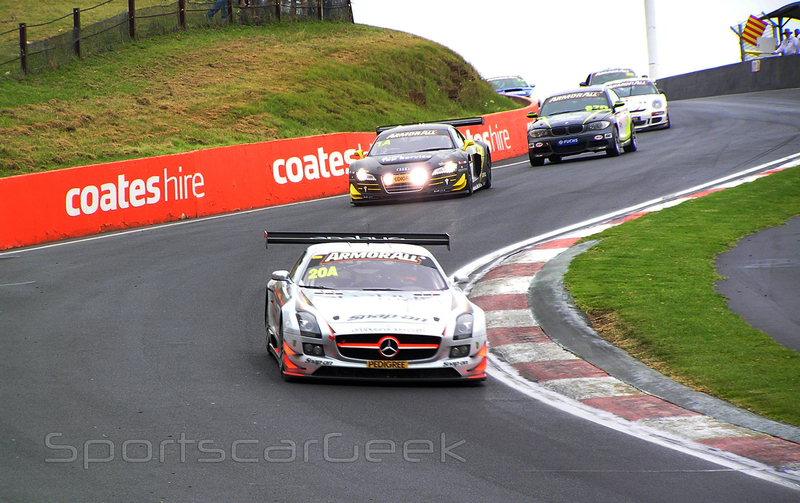 Local drivers Slade (V8SC) and Hackett (AustralianGT) will significantly contribute valuable circuit knowledge to both the team, and fellow drivers, Bleekemolen and Curtis; both of whom will, despite lacking circuit knowledge, draw on their respective (and considerable) experience with similar endurance events. 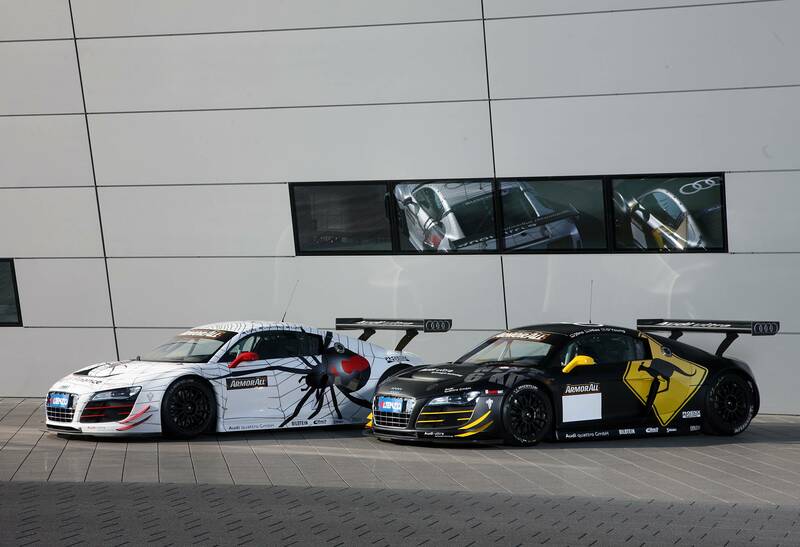 Although fielding (two) entries of a collectively lesser experienced (and professional) nature than closest rivals Phoenix Racing, Black Falcon enter the 2012 event as a potential and, realistic threat to Audi’s established success at the 12 hour race. Despite significant involvement on behalf of Audi (via Phoenix Racing) and Mercedes (via Black Falcon), increased commitment from a viciously competitive privateer contingent renders the potential for either marque to effortlessly secure outright victory considerably unlikely. Representing the majority of the GT field, privateer runners enter the 2012 event against the collective might of both Audi and Mercedes factory (affiliate) outfits. Although entering a class overshadowed by the successful reputations of both Phoenix Racing and Black Falcon, multiple privateer squads enter the event with ample offensive capabilities afforded by both machinery and driving talent. 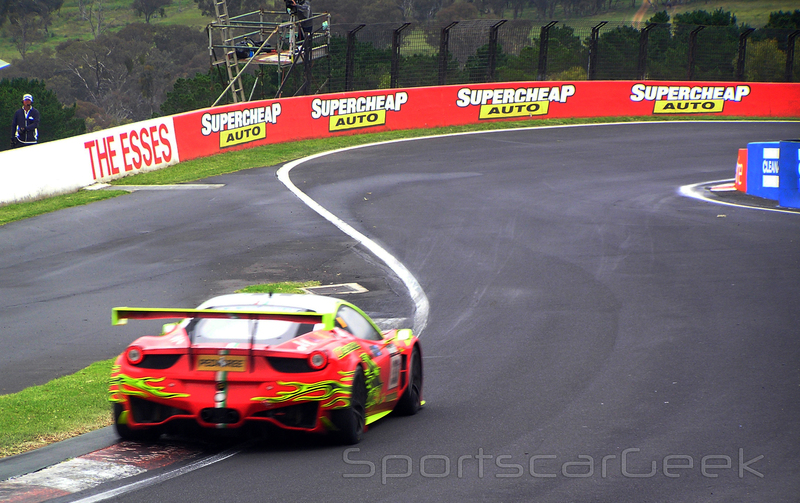 Maranello Motorsport's Ferrari 458 Italia during testing, at the 2012 Bathurst drive event. 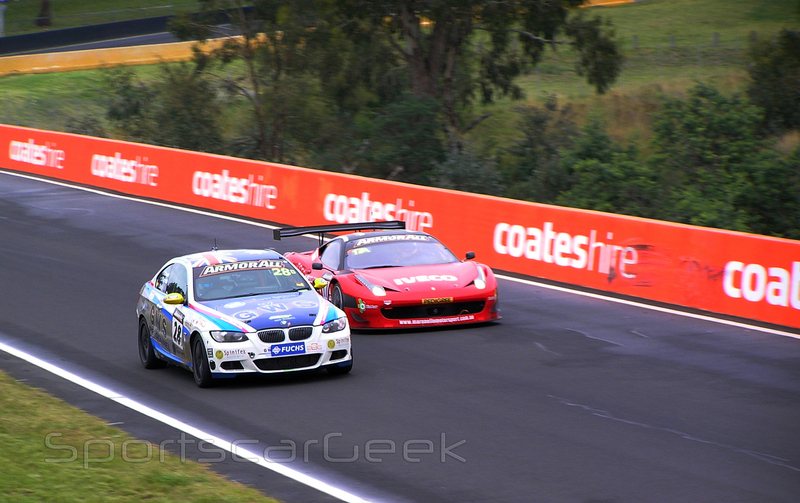 - Image courtesy Bathurst 12 Hour. Local entries Maranello Motorsport, Lago Racing, and Consolidated Chem. Co. will spearhead an Australian assault on outright victory. While foreign privateer outfits Clearwater Racing (Malaysia) and United Autosports (Britain, United States) will also field single car Ferrari 458 and, Audi R8 LMS entries respectively, each with factory-afforded customer assistance. Having enlisted the services of ace GT pairing, Allan Simonsen (Denmark) and Dominik Farnbacher (Germany), in addition local touring car legend John Bowe, Melbourne-based outfit Maranello motorsport has secured a lineup bearing considerable pace and circuit knowledge. With the squad fielding proven package in Ferrari’s 458 Italia, Maranello Motorsport emerges a significant contender for outright victory. 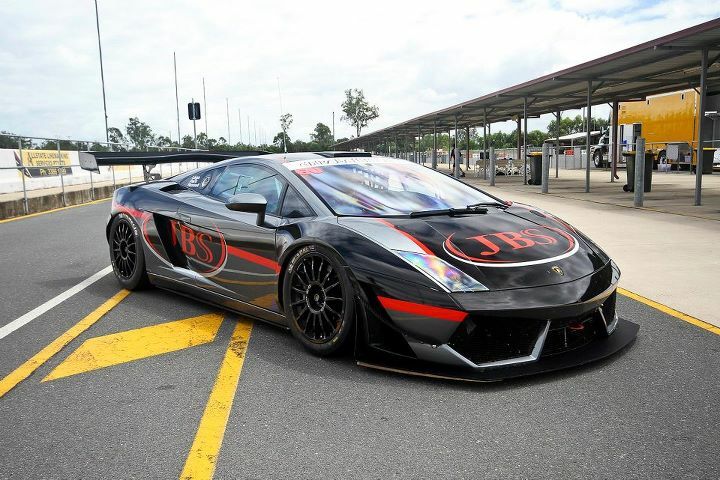 Lago Racing's JBS-sponsored Reiter Lamborghini LP600 GT3 challenger. 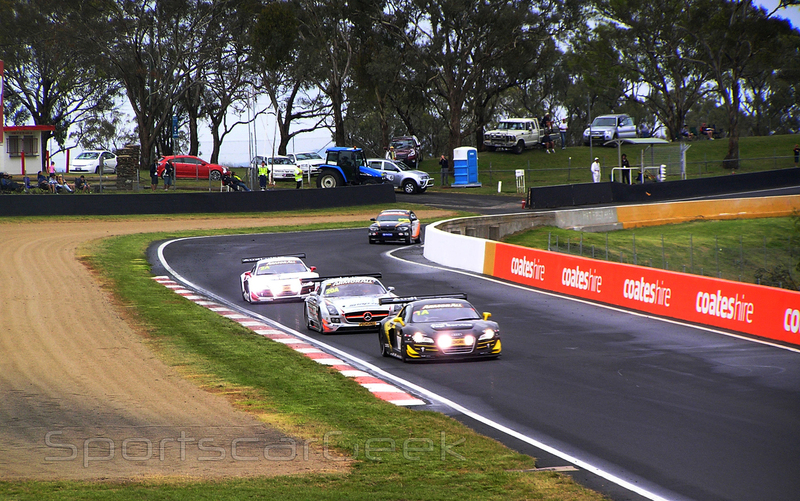 - Image courtesy Bathurst 12 Hour. Queensland-based team, Lago Racing has also increased their level of commitment for the 2012 event. Following the achievement of a class (B) victory at the 2011 Bathurst 12 Hour, Lago Racing sought out proven GT3 machinery in the form of Reiter’s Lamborghini LP600 challenger. With the team having enlisted the services of talented local (V8SC development series) driver, David Russell, Lago Racing remains one of multiple local entries in contention for a well-placed finish. 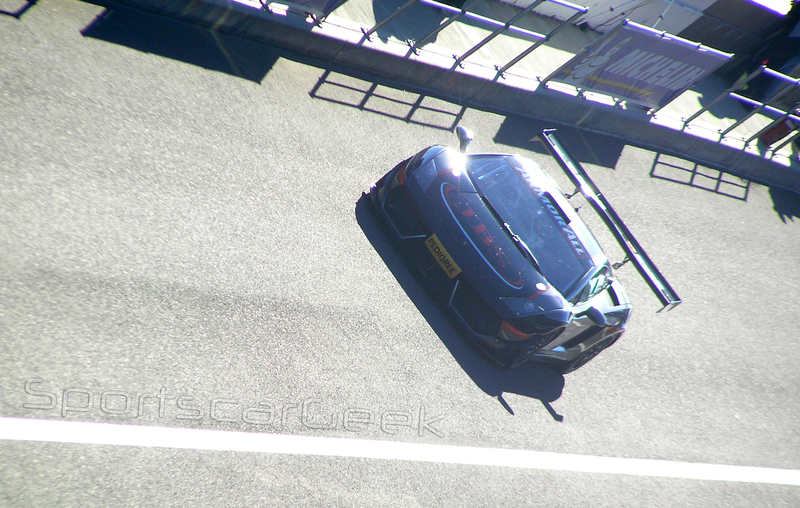 The Reiter Lamborghini LP560 GT3 entry of McConville, Kox, Huglin, and Searle. 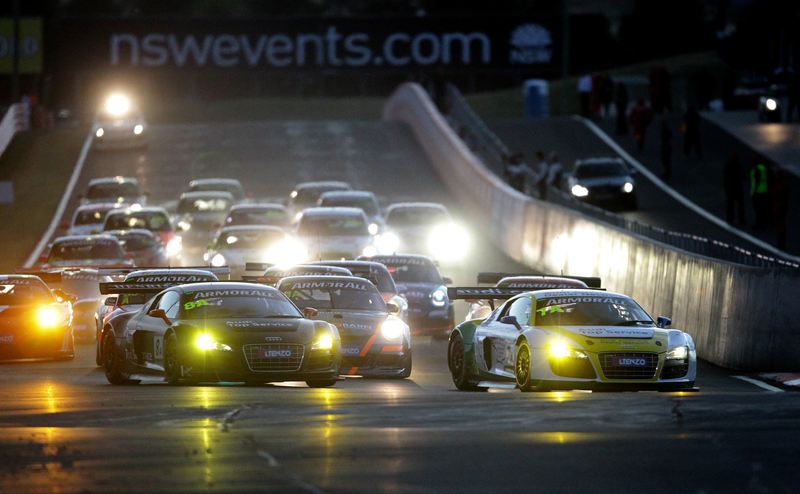 - Image courtesy Bathurst 12 Hour. Fielding the second of two (local) Lamborghini entries, Consolidated Chemical Co. will also enter a Reiter-developed package, the LP560 GT3. With a squad consisting of V8SC endurance driver, Cameron McConville and, endurance ace/Reiter factory driver, Peter Kox, the Ted Huglin-led outfit is one of many entries favoured for a top five finish. 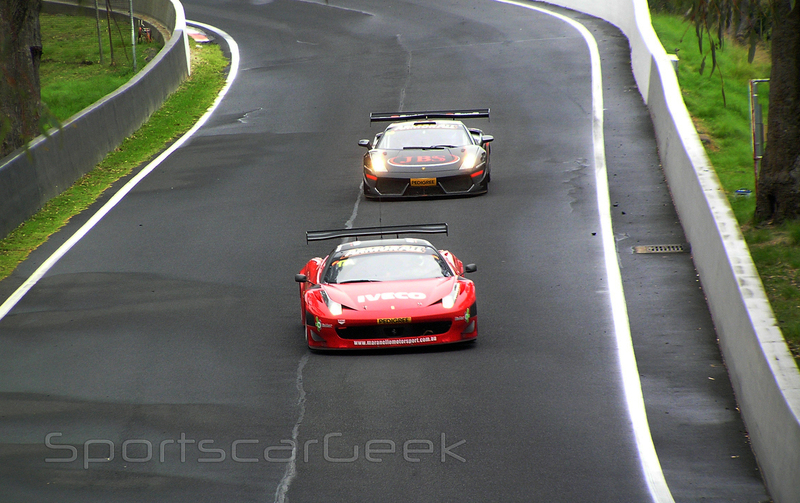 Entering one of two Ferrari 458 Italia GT3 entries in the 2012 event, Malaysian-based outfit, Clearwater Racing emerge as a considerable threat to both factory and privateer competitors. With significant potential in the team’s lineup of Baird, Griffin, and team-owner Mok Weng Sun, Clearwater Racing enter the Bathurst 12 Hour as one of the higher fancied privateer entries. 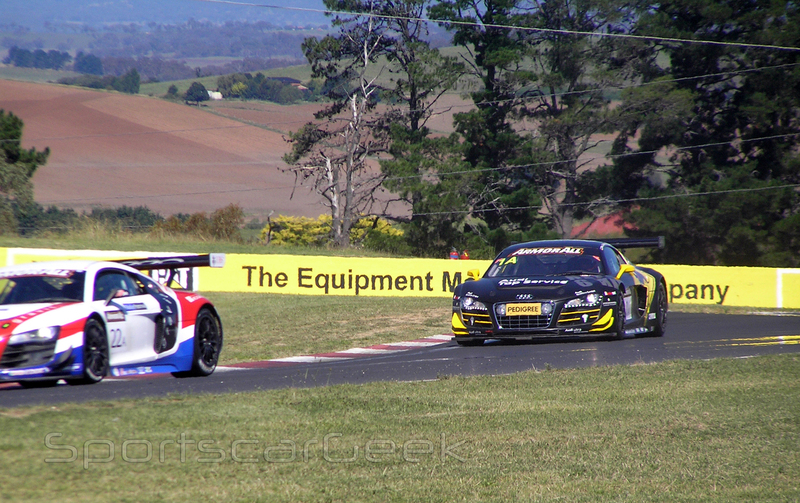 United AutoSports will enter a single Audi R8 LMS in the 2012 Bathurst 12 Hour. - Image courtesy United Autosports. Following competitive showings at both Dubai and Abu Dhabi 24 Hour events, Anglo-American team United Autosports will also make their Bathurst debut at the 2012 12 Hour event. Despite having recently purchased a pair of Mclaren MP4-12C chassis, the squad continues its (customer) relationship with Audi, via entering a single R8 LMS for drivers Patterson, Li, and Yu. Renowned for star-powered appearances elsewhere, United Autosports will likely face difficulty with a lesser professionally (and, in regards to circuit knowledge) experienced lineup. With the aforementioned entries fielding PRO/AM lineups, albeit in varying forms (as stipulated by event regulations), each outfit’s success relies on their ability to manage the capabilities of their respective designated (team-owner) amateur drivers. For certain outfits, this will no doubt present a significant hurdle. While others will likely approach the scenario with minimal difficulty. Although represented to a lesser extent than in previous years, production-touring runners will collectively represent seven manufacturers (Holden, Ford, BMW, Mazda, Mini, SEAT, Subaru) across the event’s three touring categories. With BMW and Subaru entries emerging as likely favourites within their respective categories. Despite a reported boycotting of the event having been coordinated by certain members of the local production-touring contingent (claimed to be the result of conflicting viewpoints concerning the event’s ethos), there remains a core group of confirmed, local touring teams, committed to providing an entertaining race for spectators. 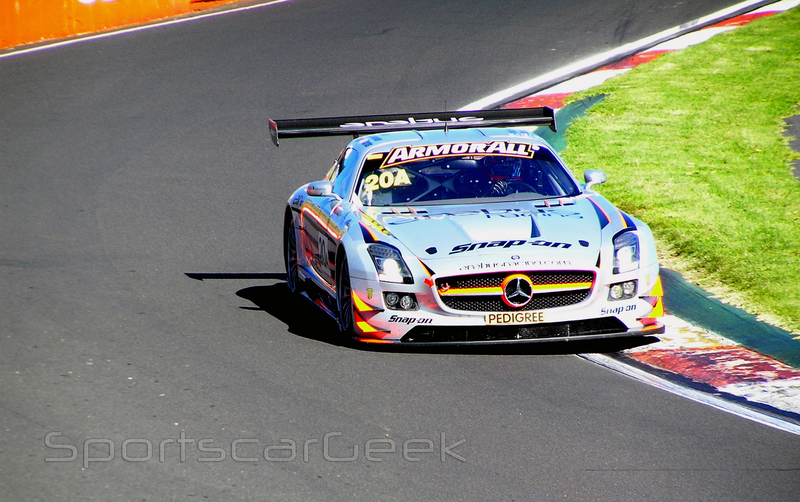 Black Falcon to lead Mercedes charge at Bathurst 12 Hour. Preliminary details concerning another planned high-profile effort targeting Australia’s Bathurst 12 hour, involving esteemed German endurance outfit, Team Black Falcon have begun to emerge via multiple sources affiliated with the event. The Kelberg-based team, now a renowned Mercedes factory affiliate and customer sport operation has (as signified by the presence of two entries on the event’s provisional entry list) recently confirmed plans which will see the squad field two Mercedes SLS AMG GT3 entries in the 2012 edition of the 12 hour race. Widely known for their exploits within Germany’s domestic GT and endurance series, the squad is no stranger to endurance; with a competition portfolio spanning both VLN and ADAC GT championships, in addition to efforts at Spa, Nürburgring and Dubai 24 hour events under the AMG banner. Black Falcon’s participation at the 2012 running of the 12 hour race represents the securing of another high-profile, manufacturer-supported effort by event organisers. With Audi having already confirmed their intention to return via factory-affiliate team, Phoenix Racing. An announcement which was later followed by subsequent confirmations from privateer squads Maranello Motorsport, and United AutoSports. Details of the team’s driver lineups for the event have not yet been revealed in full. It has however been confirmed that Dutch driver (and Black Falcon, VLN regular), Jeroen Bleekemolen (of past Le Mans, LMS, Porsche SuperCup, A1GP fame) will join the outfit for the 12 hour race. Renowned driving coach/instructor, Rob Wilson has also been confirmed within the team’s second entry. Local Mercedes customer sport operation, Erebus Racing have, despite signaling a desire to enter the 2012 running of the event, not yet confirmed details of their rumoured participation. It remains unclear as to whether Black Falcon’s participation will operate independently or, in collaboration with Erebus Racing’s as yet unconfirmed efforts. Further information concerning Black Falcon’s planned Bathurst 12 hour campaign is yet to be revealed. 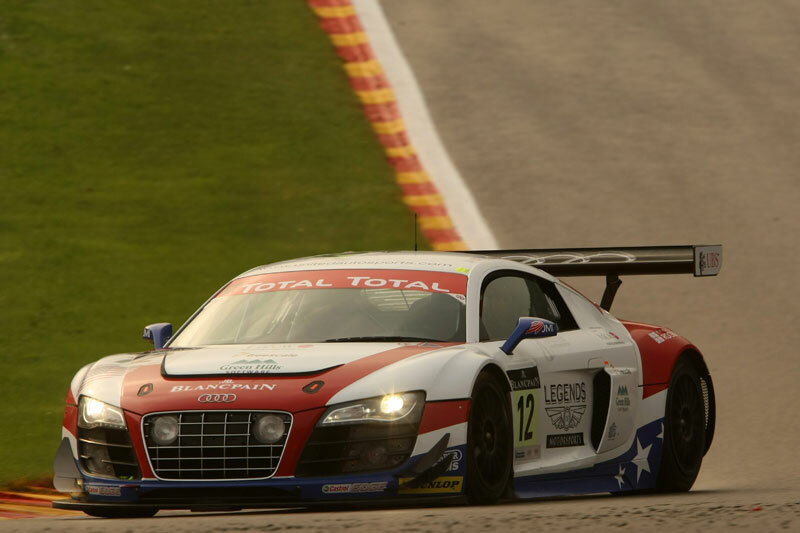 No stranger to endurance; United AutoSports entered three R8 LMS GT3s in the 2011 Spa 24 hour event. - Image courtesy United AutoSports. Anglo-American sportscar squad, United AutoSports today announced details concerning their 2012 season programme. Within which, the team released details of plans to enter Australia’s Bathurst 12 hour event, in addition to both Dubai and Abu Dhabi 24 hour events. News of the team’s continued utilisation of Audi’s R8 LMS GT3 chassis may come as a surprise to some. Given the squad’s well-documented dealings with McLaren, and previously announced plans to enter the marque’s recently released MP4-12C GT3 chassis in the 2012 Blancpain Endurance series. 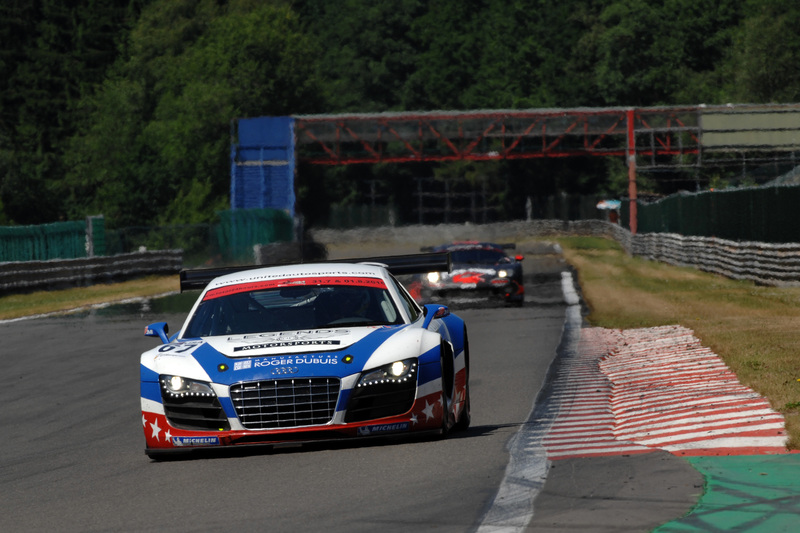 Despite this, the team has confirmed a single R8 LMS entry for the aforementioned events. Details of expected driver lineups for each event are yet to be announced. Based on past appearances, and the team’s operating ethos, a lineup of high-profile runners is considered a reasonable expectation. United AutoSports’ current competition portfolio spans British GT, FIA GT3, and Blancpain Endurance series, in addition to select endurance events across the world. The outfit most recently competed in the American Le Mans Series’ 14th annual Petit Le Mans event, securing an LMP2 class podium on its series, and LMP competition debut, with an OAK Pescarolo-Judd package. The British-based outfit’s announcement of participation in the 2012 running of the Bathurst 12 hour arrives following the confirmation of multiple high calibre entries, ranging from Audi factory affiliate, Phoenix racing, to local privateer competitors, Maranello Motorsport. Additional manufacturers are reportedly evaluating participation at present. “United Autosports is a 52-week a year business and the goal is to have the top GT racing team in the world. In only two years United Autosports has built a reputation in which top drivers want to race with us, and now we’re offering them the opportunity to compete with our highly-motivated team, which is competing worldwide. 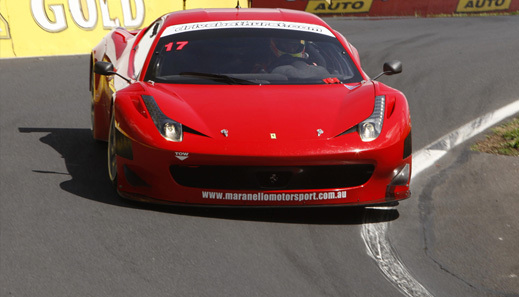 Simonsen, Farnbacher to command Ferrari assault on 2012 Bathurst 12 hour. 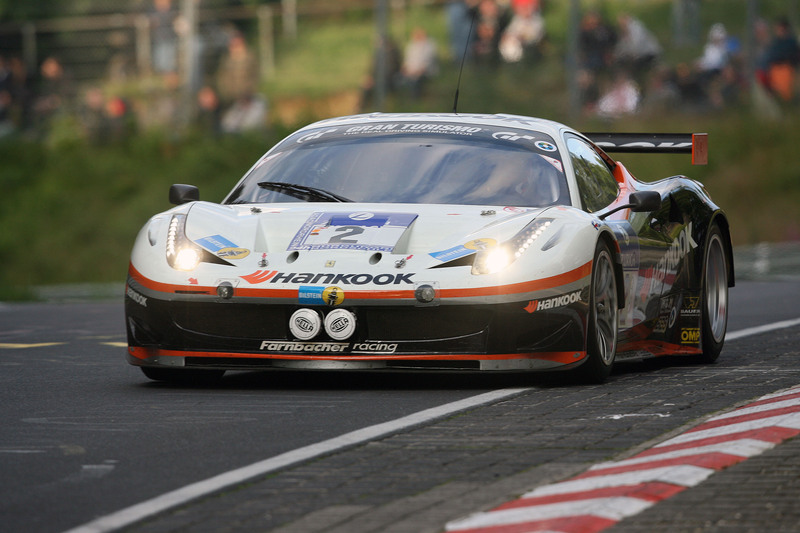 Hankook Team Farnbacher’s Ferrari 458 of Simonsen/Farnbacher at the 2011 Nürburgring 24 Hour event. – Image courtesy HankookTire. Following the confirmation of multiple high-profile teams and driver lineups in recent weeks, the 2012 running of Australia’s Bathurst 12 hour event has received a further addition to its growing number of provisional entries. In an interview with Australia’s Speedcafe.com, Danish driver/endurance regular, Alan Simonsen has revealed details of his planned return to the 2012 event with Australian team, Maranello Motorsport. Simonsen also provided information regarding the team’s planned driver lineup. On this occasion Simonsen will be partnered by regular Le Mans series driving partner, Dominik Farnbacher. In addition to Le Mans series duties, Farnbacher’s current portfolio sees the young German compete in the ADAC championship, and select endurance events in both the US and Europe. Having achieved podiums at both Le Mans and Nürburgring 24 hour events in recent years, the duo are well-versed in the art of endurance. The pairing will be partnered by Australian drivers John Bowe (past V8 Supercar driver/multiple Bathurst 1000 champion), and local gentleman driver, Peter Edwards. Following a sixth-placed finish in the 2011 edition of the race with Ferrari’s aging, Kessel-built F430 GT3, Maranello Motorsport will field a 2011-spec, Ferrari 458 GT3 chassis in the 2012 running of the event. The Melbourne-based squad will compete against factory entries of Audi, and potentially other marques, in a bid to secure outright honours amongst a small, but highly-competitive field of GT3 runners. 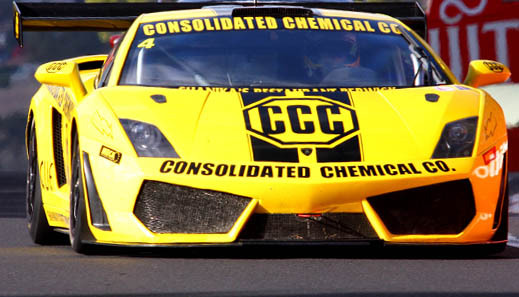 Providing further testament to the event’s increasing international allure, confirmation of the talented duo’s planned Bathurst assault affords greater substance to a growing list of both local and international entries for the 2012 edition of the race. “It’s clear that this year, the teams going for the win pretty well ran three professional drivers, so you’ve got to put a strong team together to be in with a shot. The 458 is a new spec GT3 car, so it should match the Audis that were there this year – I certainly don’t think you’ll see them running away with it again.